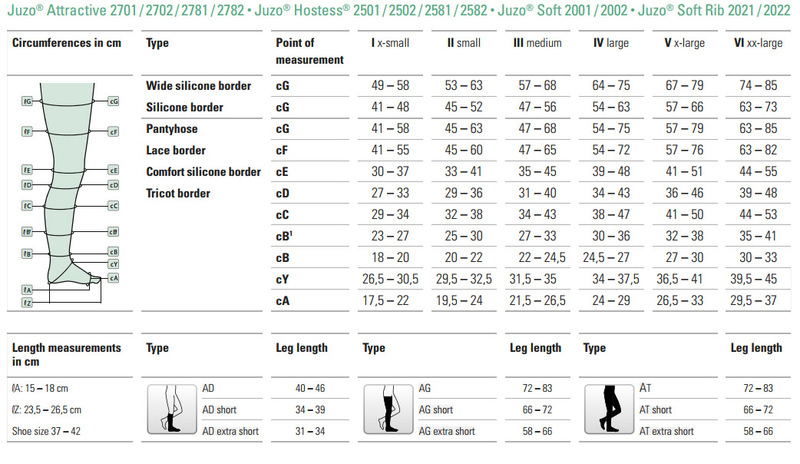 Setting new trends in the area of fine compression stockings, the Juzo Attractive Class 2 Sugar Below Knee Compression Stockings with Open Toe can be distinguished from the standard fare by their especially fine knit. Offering a stylish transparency comparable to any fine stocking, there is as much fashion as function about Juzo's Attractive Range. 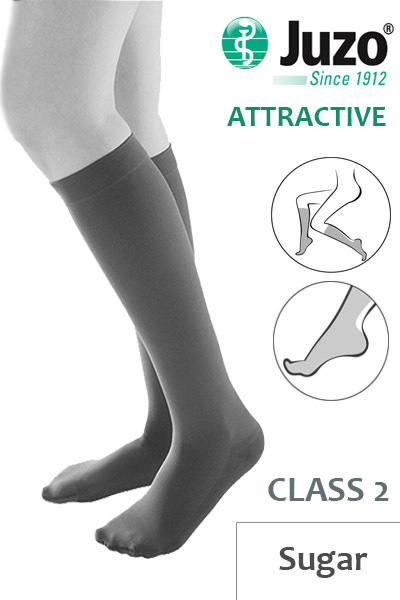 Juzo Attractive Class 2 Sugar Below Knee Compression Stockings with Open Toe are non-returnable and non-refundable on grounds of hygiene.